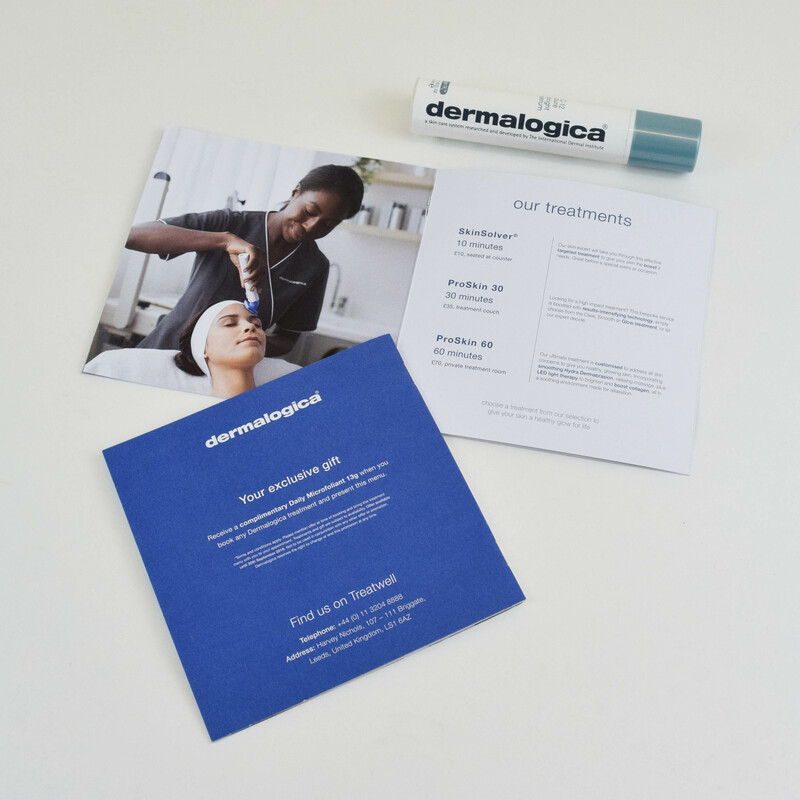 For more information on how Limeblue’s graphic studio can help your brand achieve its design vision please call us on 01428 651878. 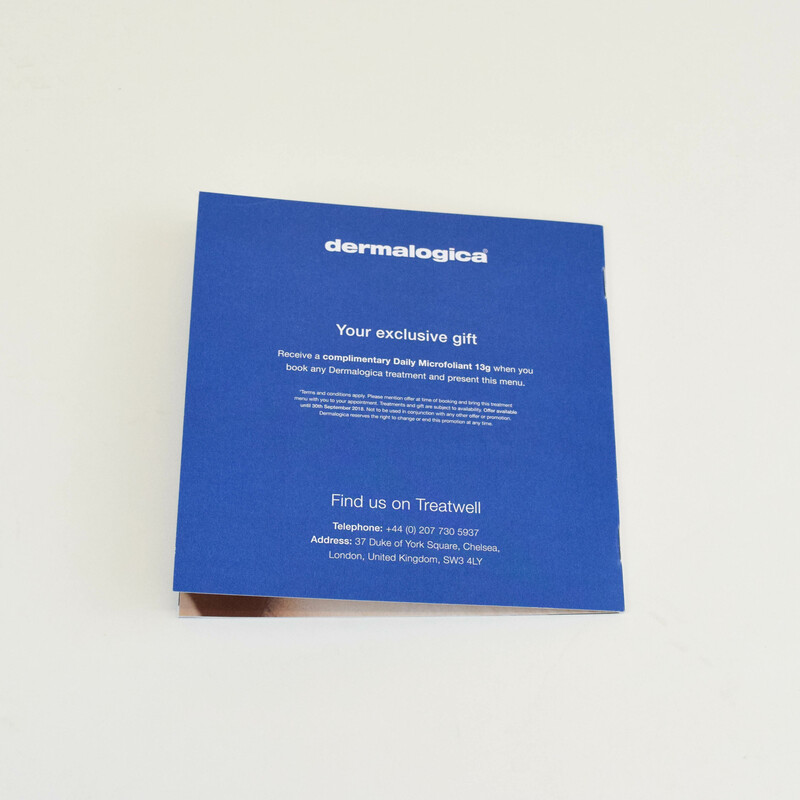 Or fill out our enquiry form located on the Contact Us page. 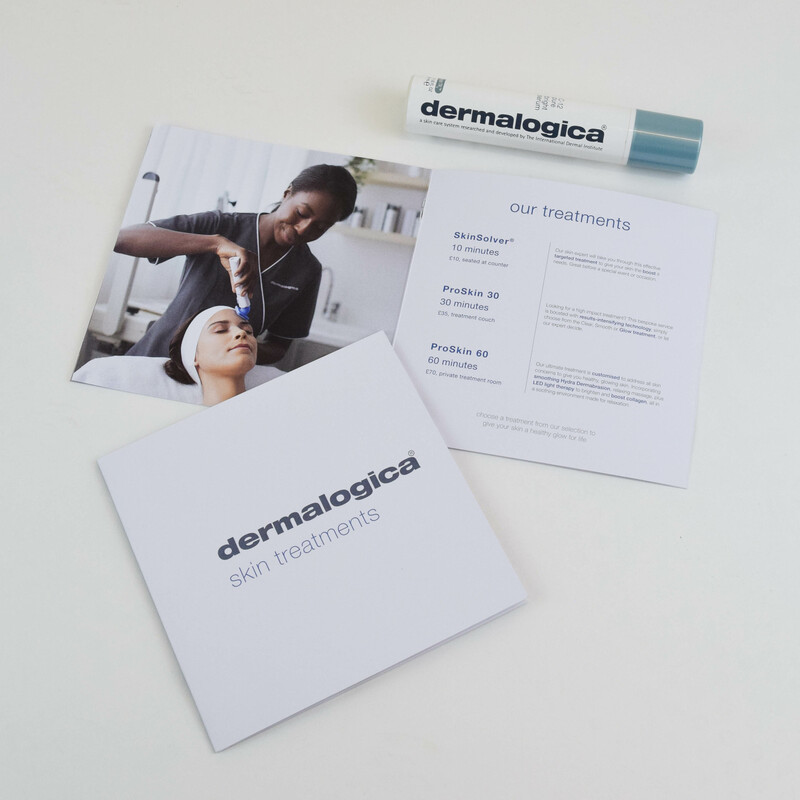 New Treatment Menu designed and produced for Dermalogica. 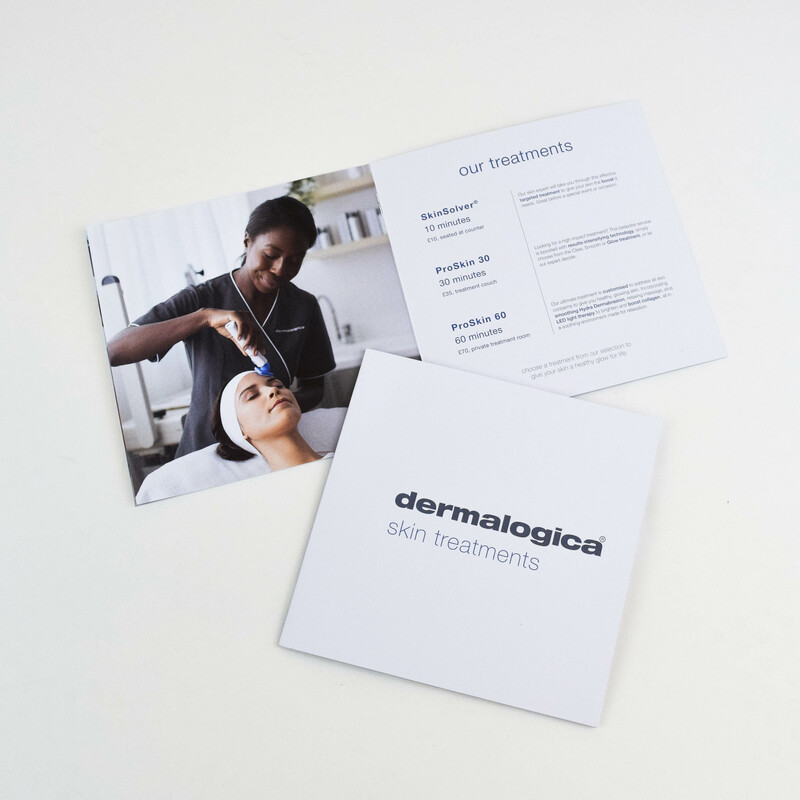 Limeblue’s graphic design studio created a new ‘treatment menu’ brochure for our long-established client, Dermalogica. 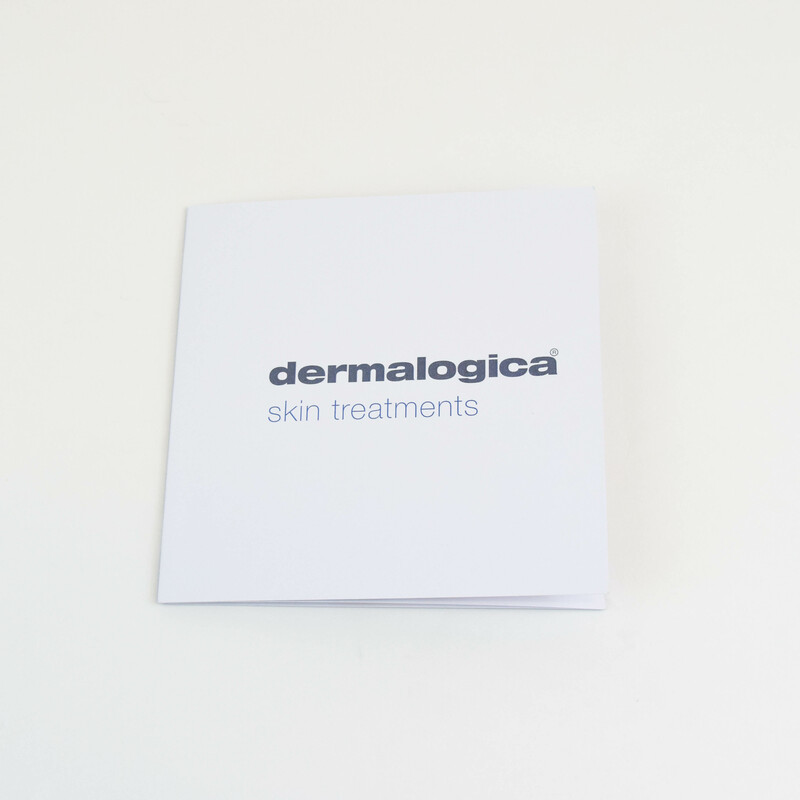 The brief was to refresh Dermalogica’s existing single sheet treatment list into a luxury style menu brochure. 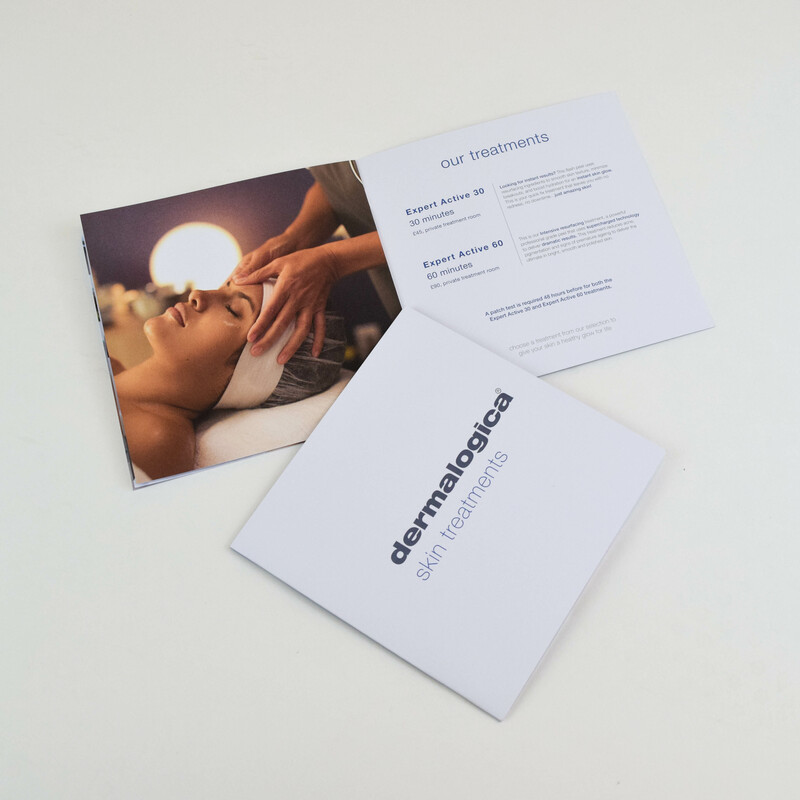 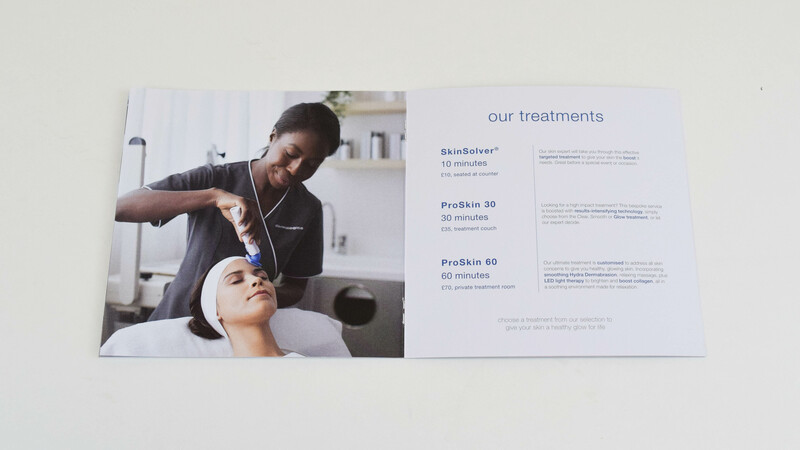 Limeblue created a booklet with a fresh, balanced layout using full-page branded imagery to highlight Dermalogica’s new and existing specialised treatments. 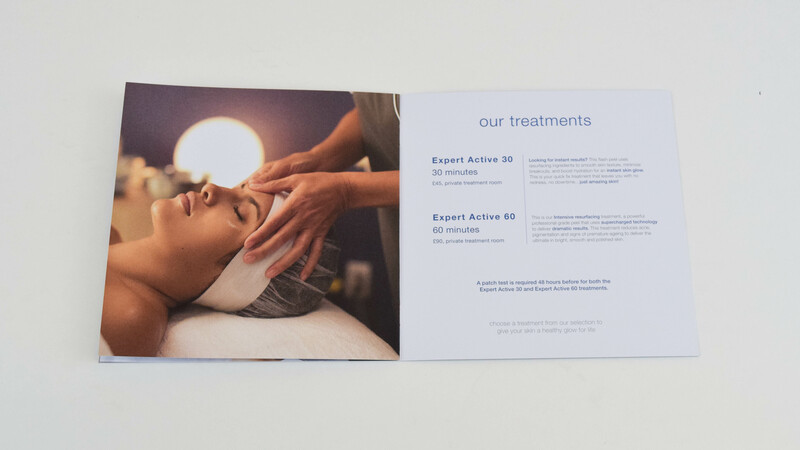 The ‘treatment menu’ was printed on premium-feel paper stock and saddle stitched for a high-end finish.